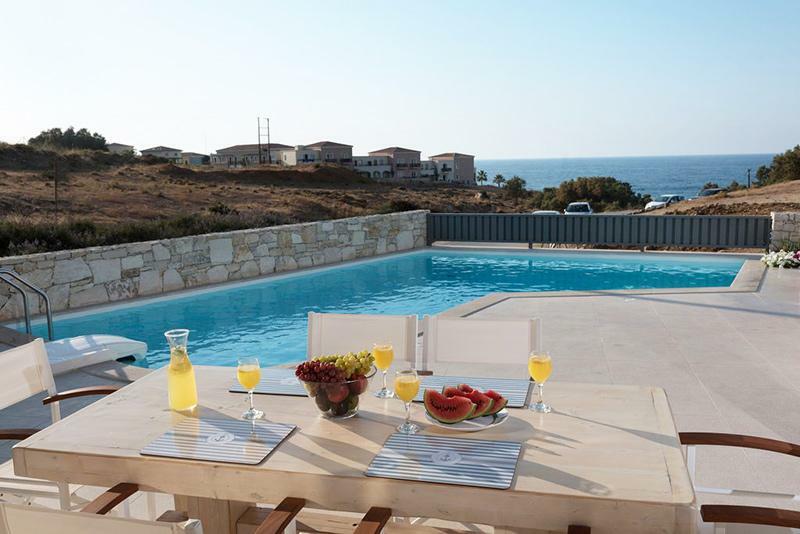 Villa Levanda with private pool, 50m from the beach | Villas in Crete to rent - Holiday villas for rent in Crete. 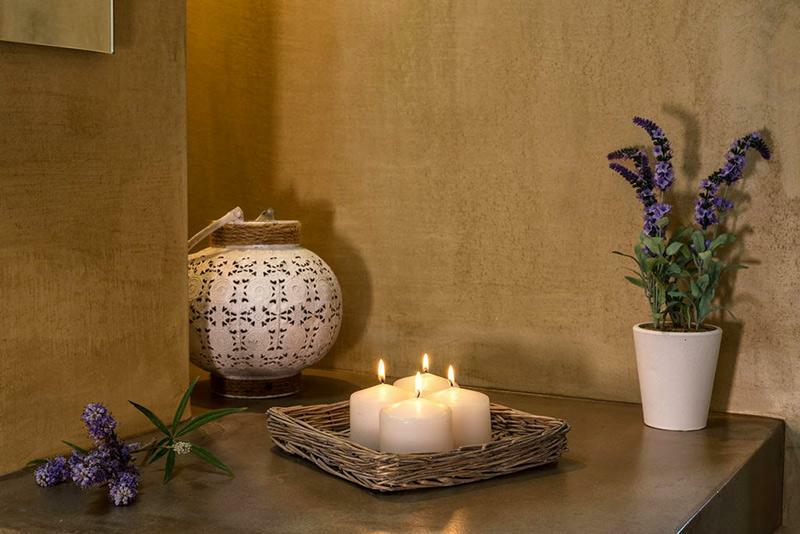 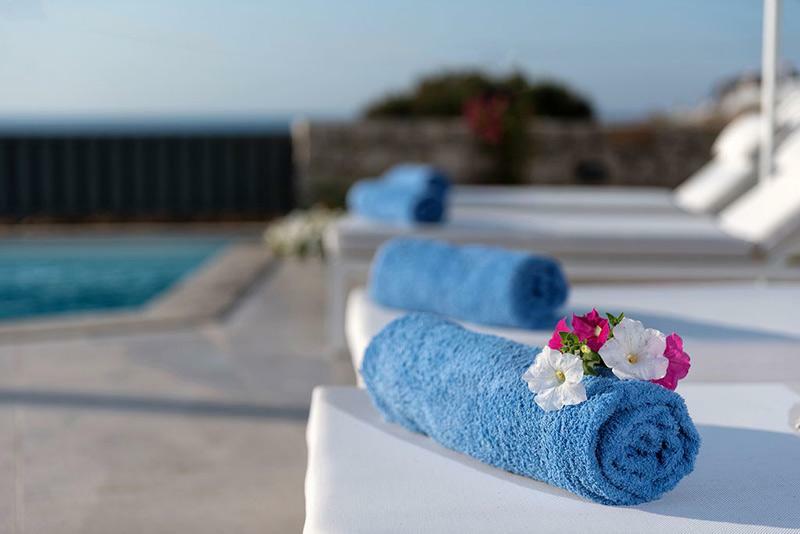 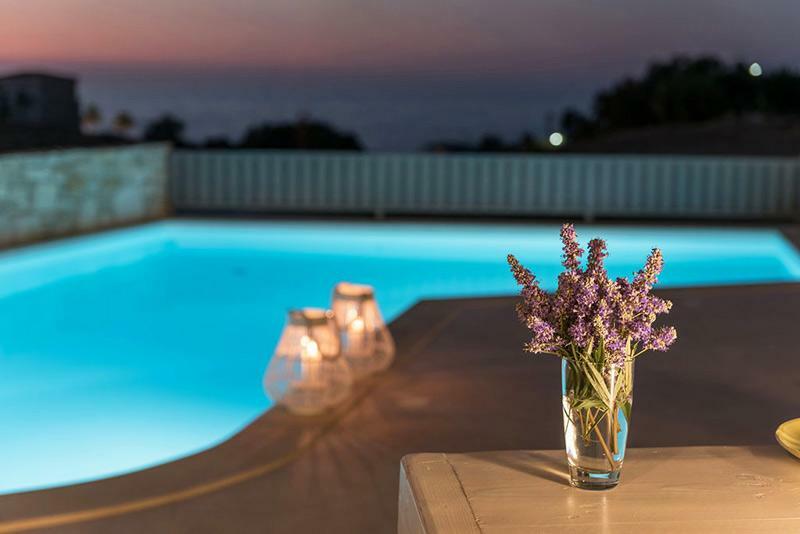 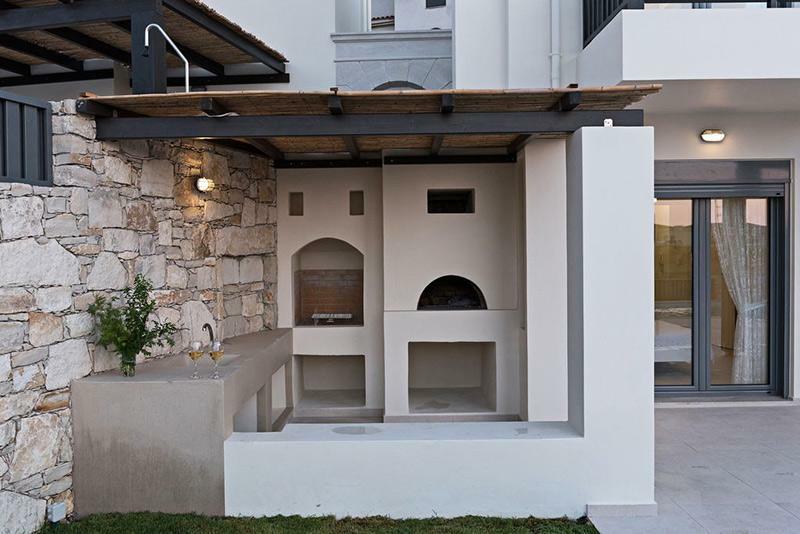 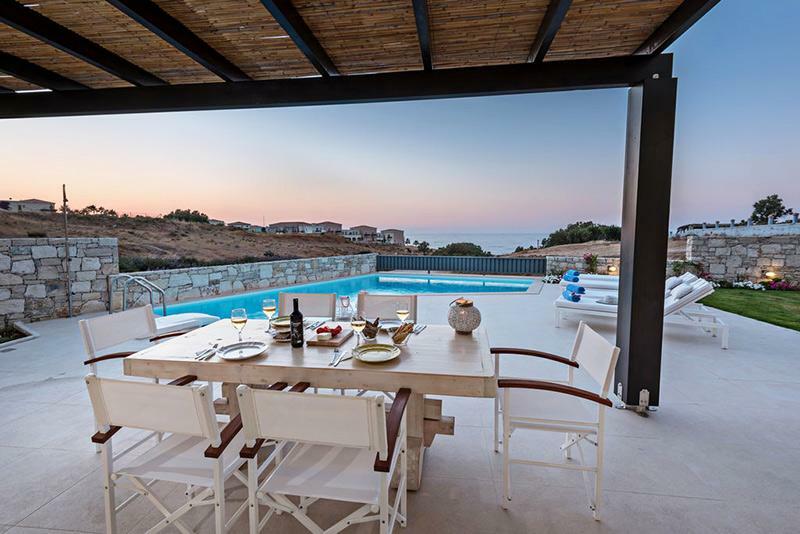 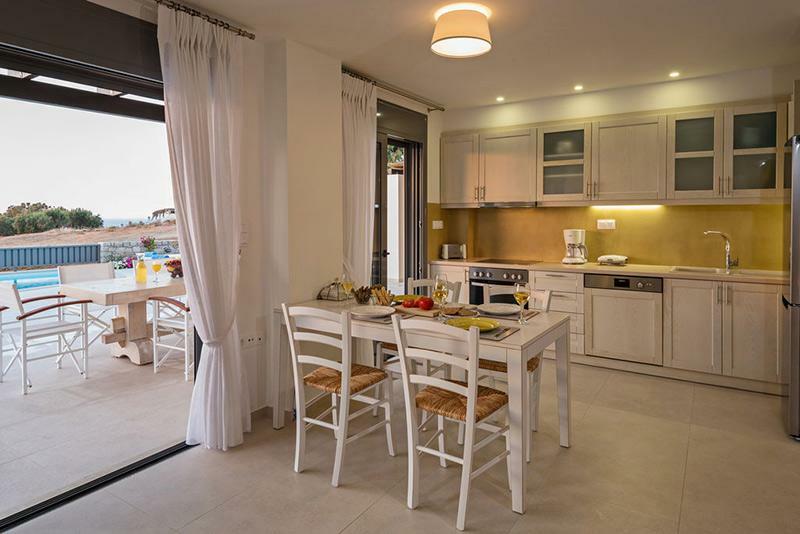 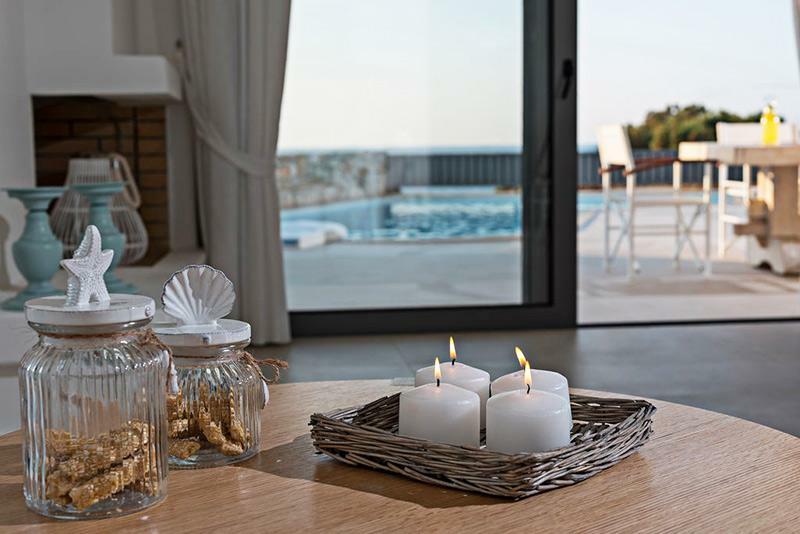 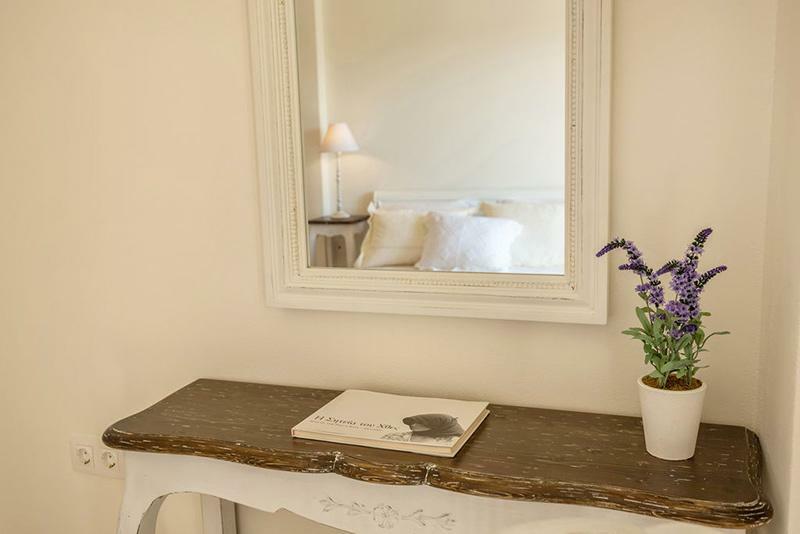 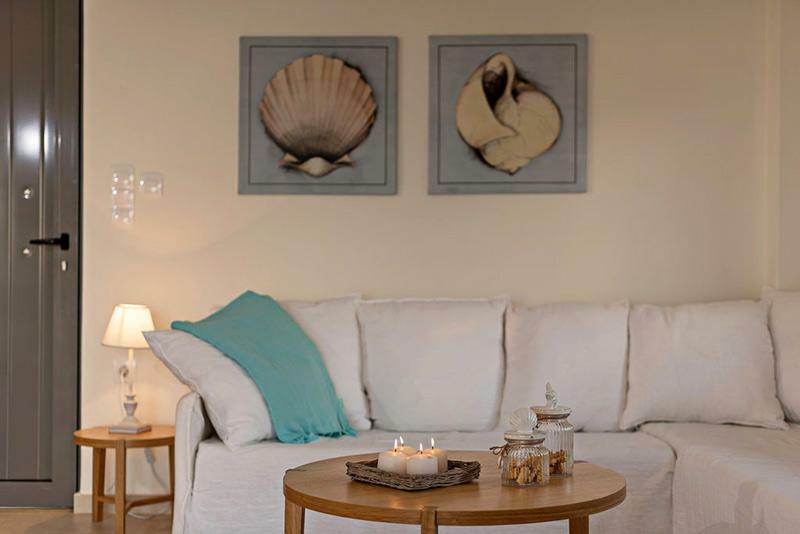 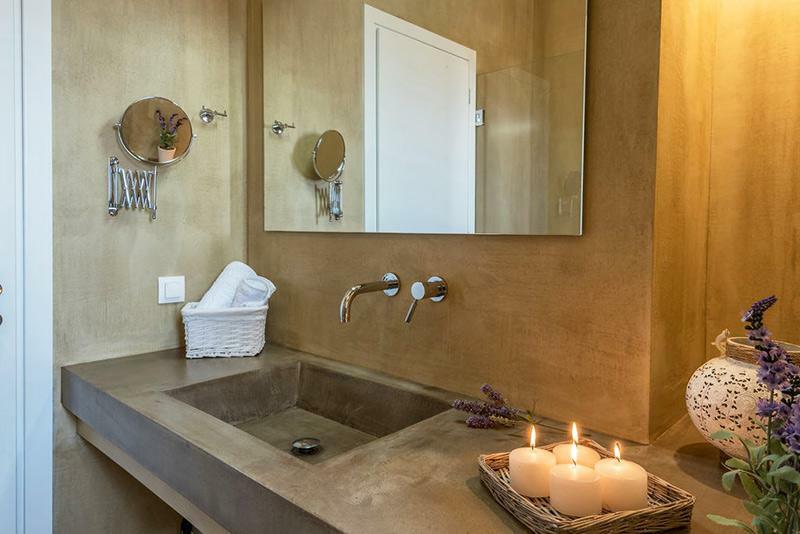 Villa Levanda is the first of the two stylish villas situated in Lygaries complex. 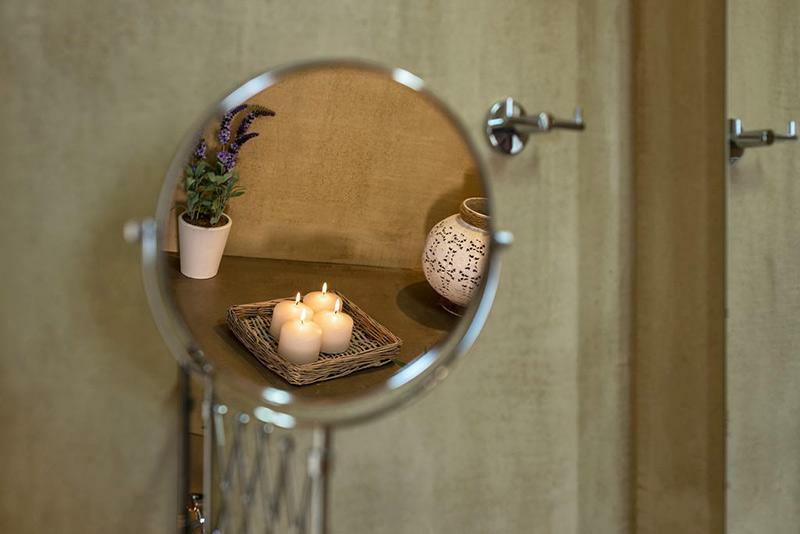 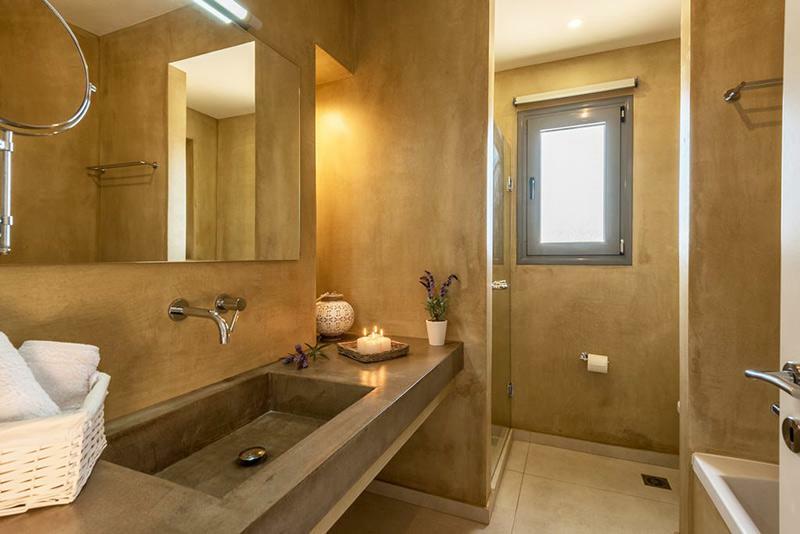 It has been designed to combine functionality and aesthetics in a harmonious way, aiming to accommodate your every need and at the same time bring you peace of mind. 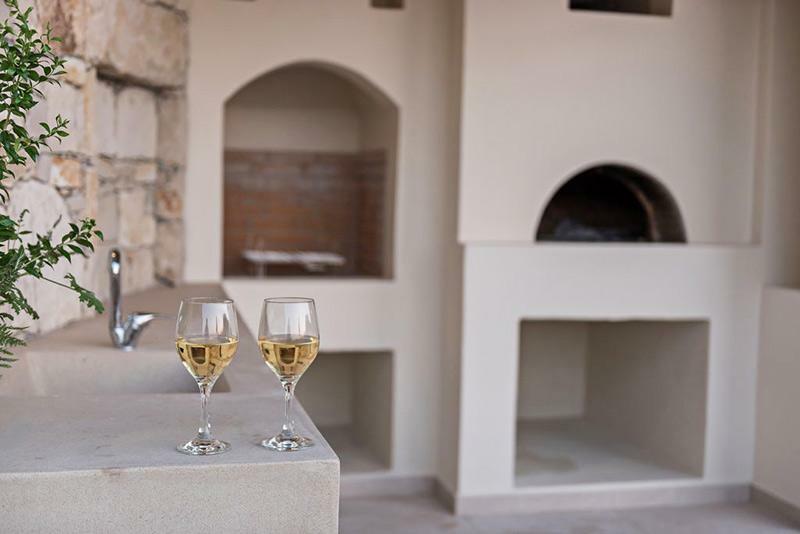 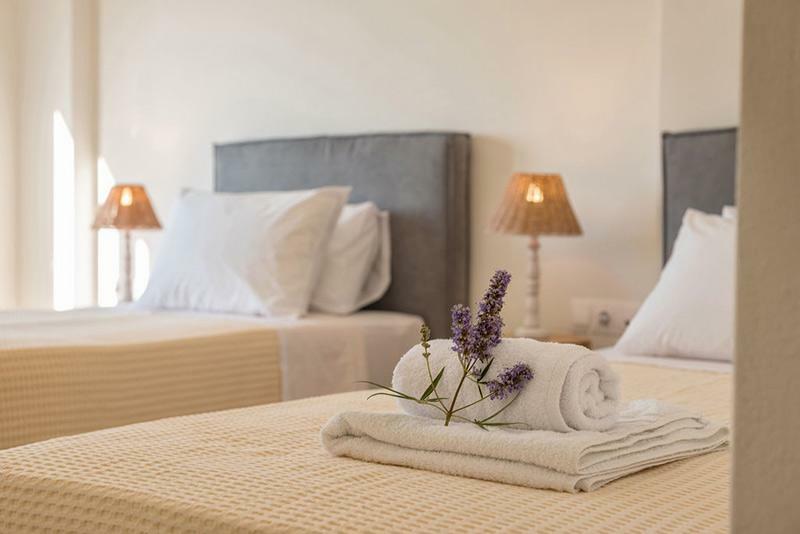 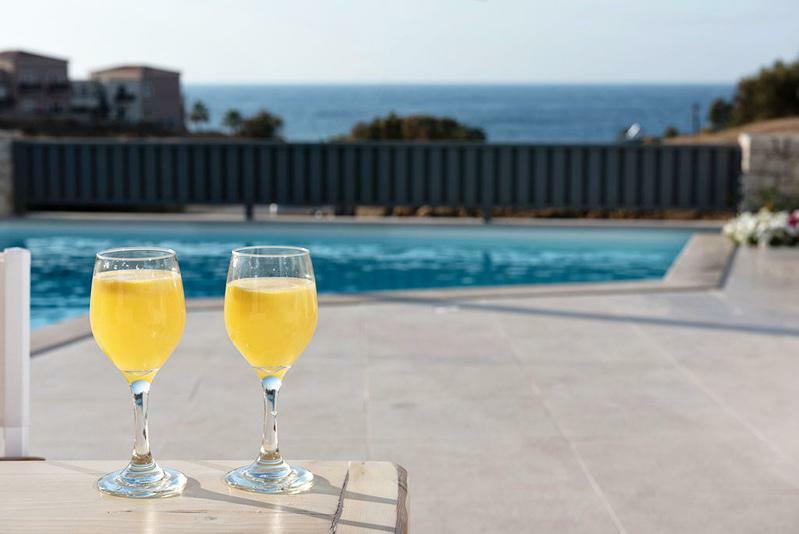 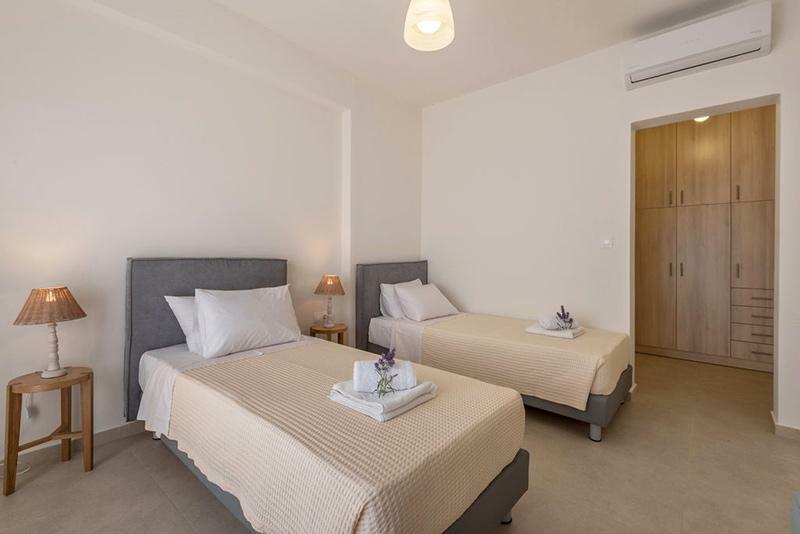 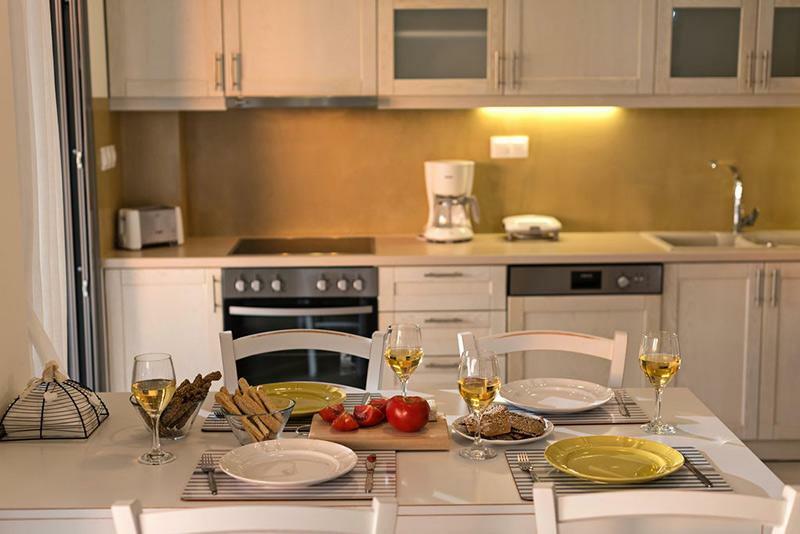 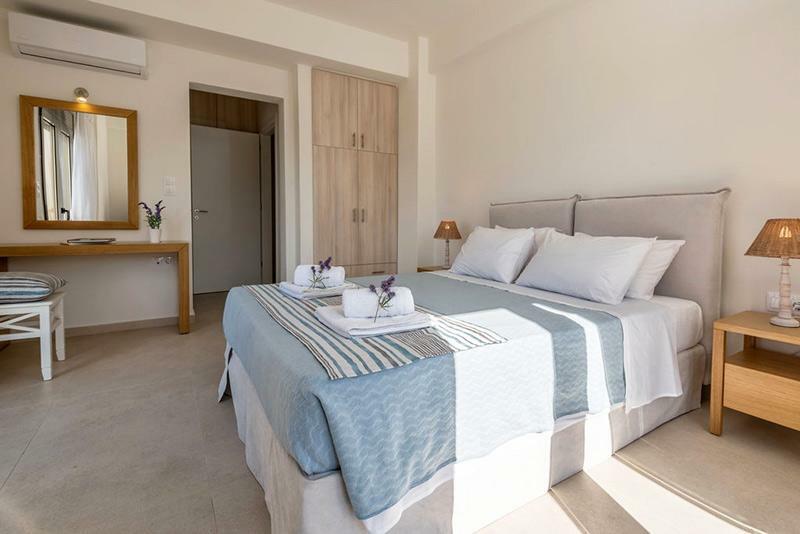 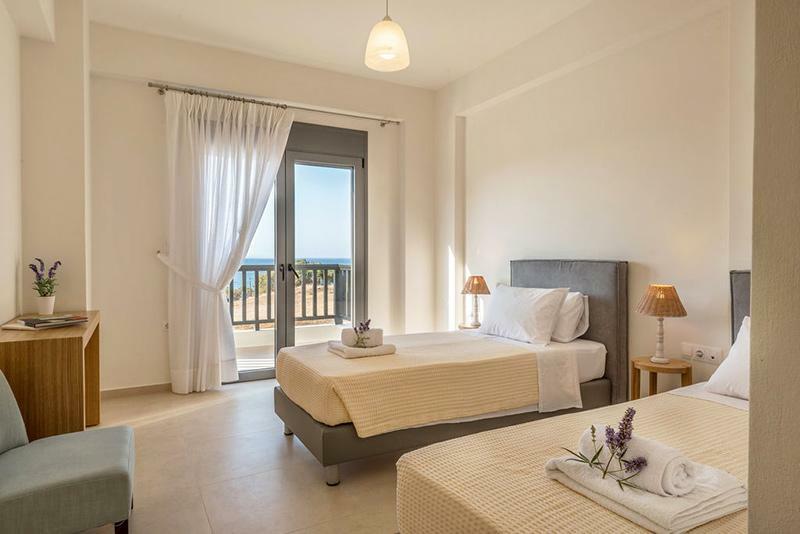 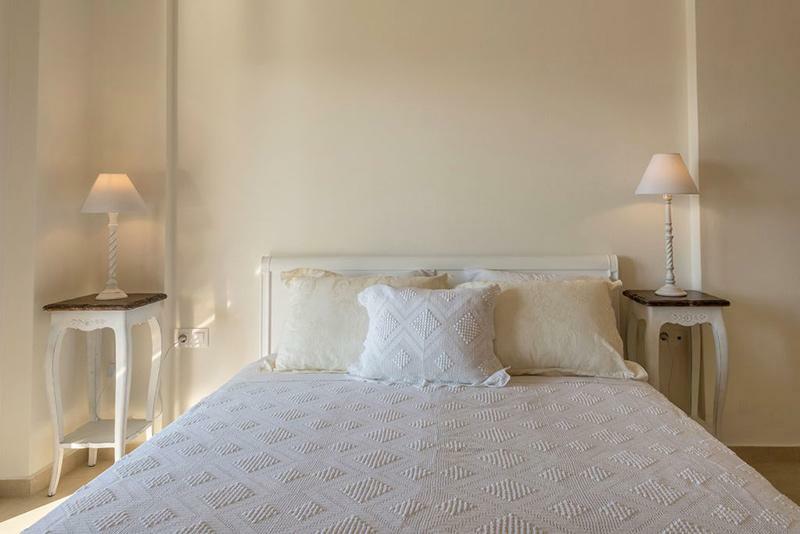 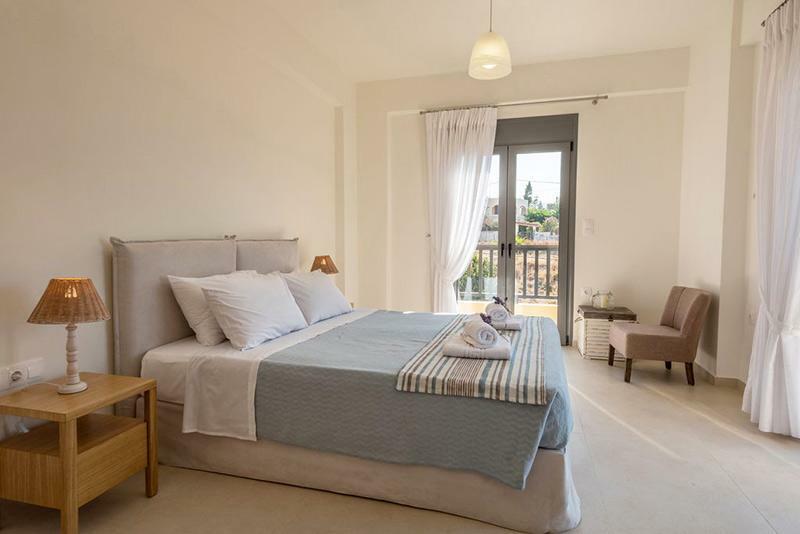 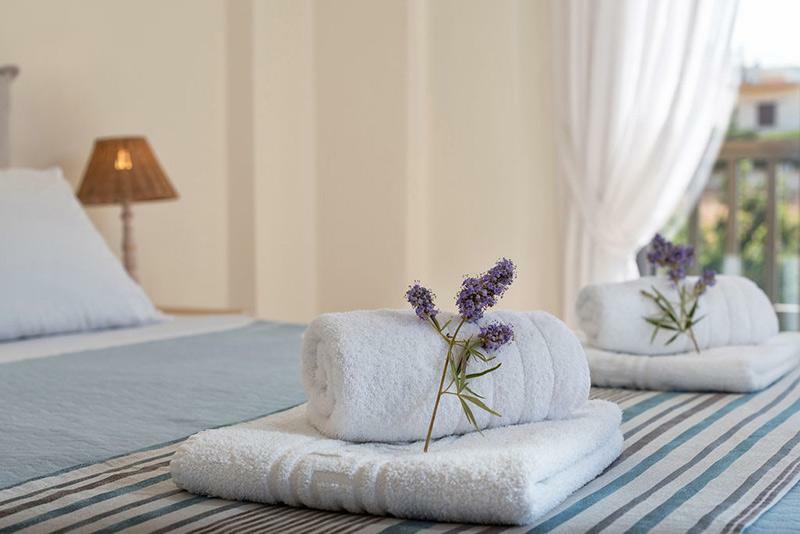 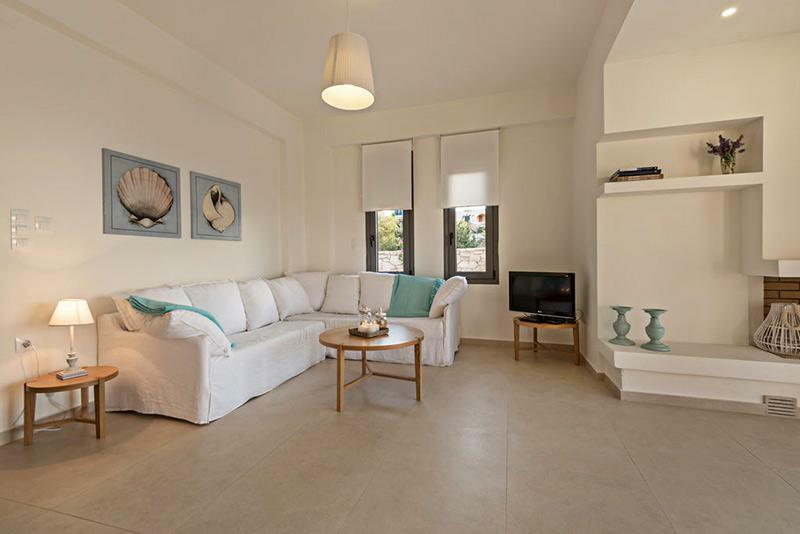 Idealy located in the colorful seaside village of Panormo, Crete, Greece, about 70m from the beach and 50m from the facilities of the village, super market, shops, bakery ,butcher, restaurants, farmacy, e.t.c. 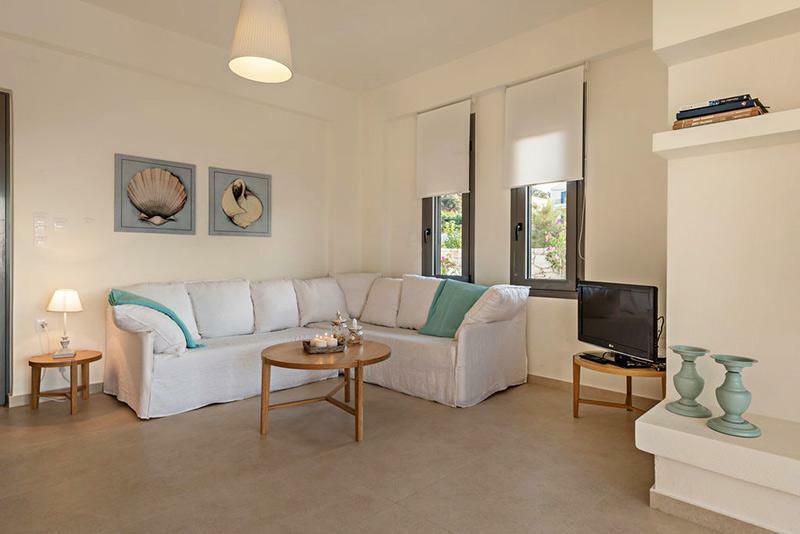 On the ground floor, you will find a large open-space living room and dining area, as well as a fully equipped kitchen. 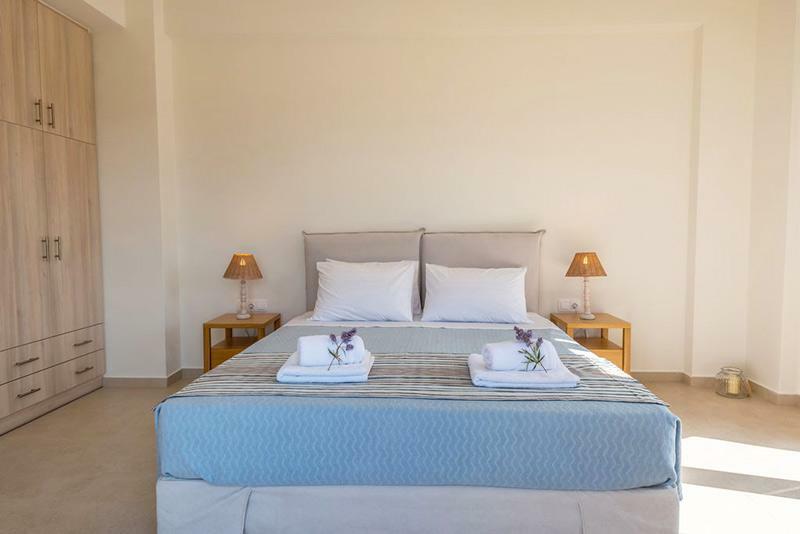 There is also a small WC and a spacious bedroom meeting all specifications for disabled people. 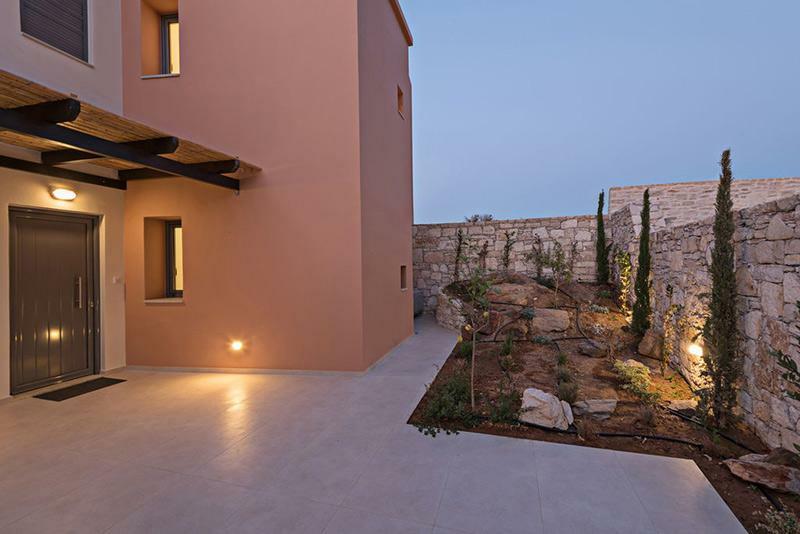 The ground level accesses the gardens and the private swimming pool. 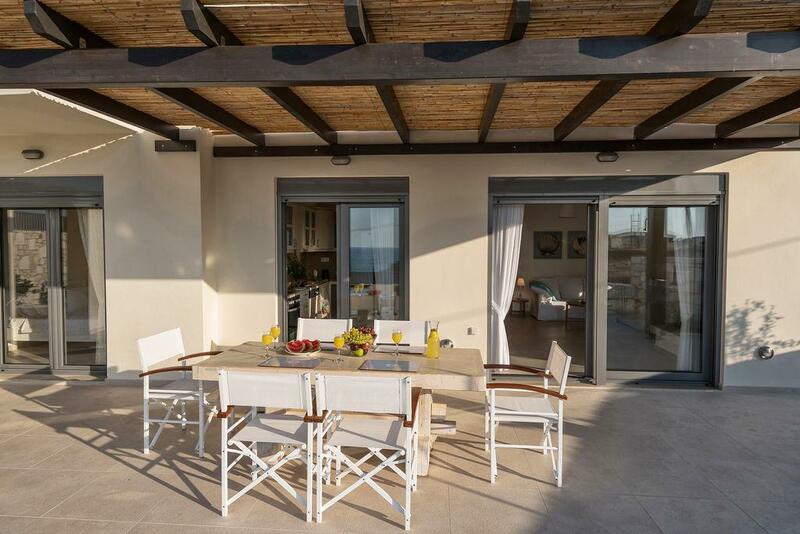 both opening to large verandas with breathtaking views. 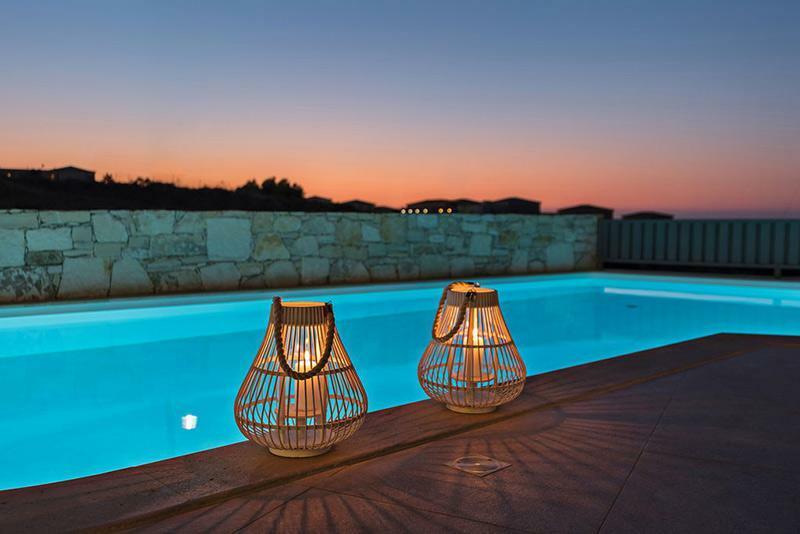 The outdoor area is equally attractive with plenty of plantation and a 40sqm private swimming pool. 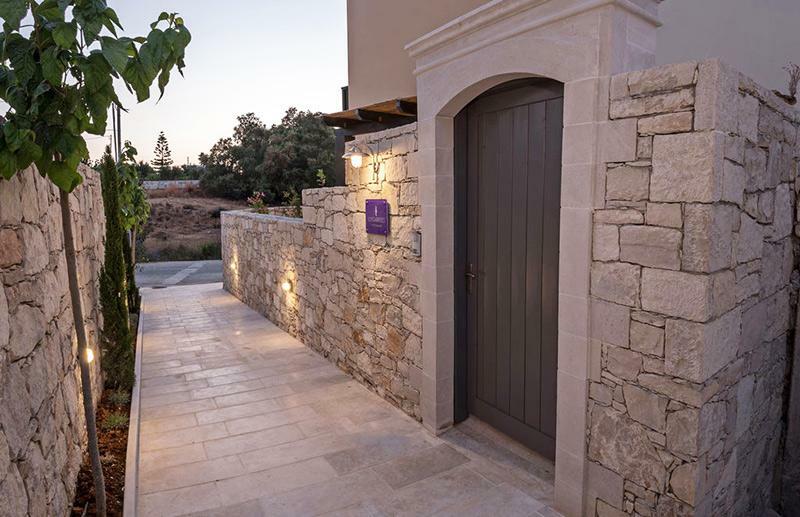 Villa Levanda is adapted for people with mobility impairments. 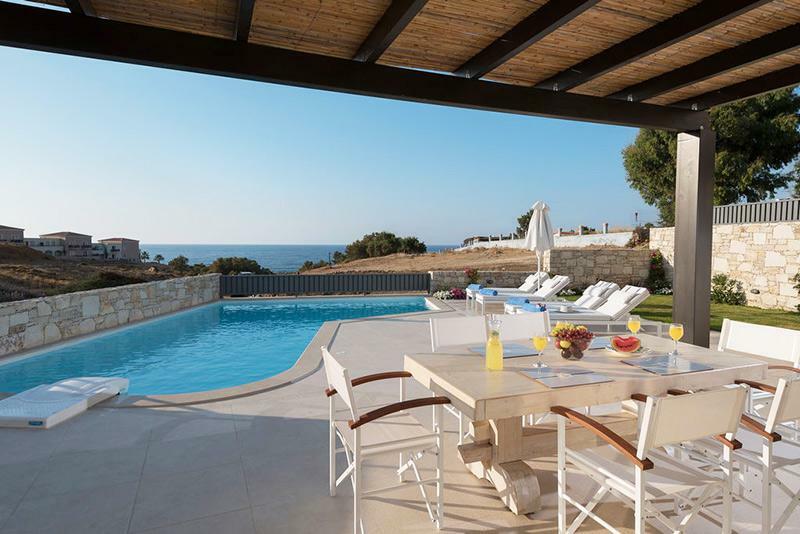 Among other things, it features ramps and wide doors ensuring smooth access to all areas, whereas a special ramp and handrail provides access to the swimming pool. 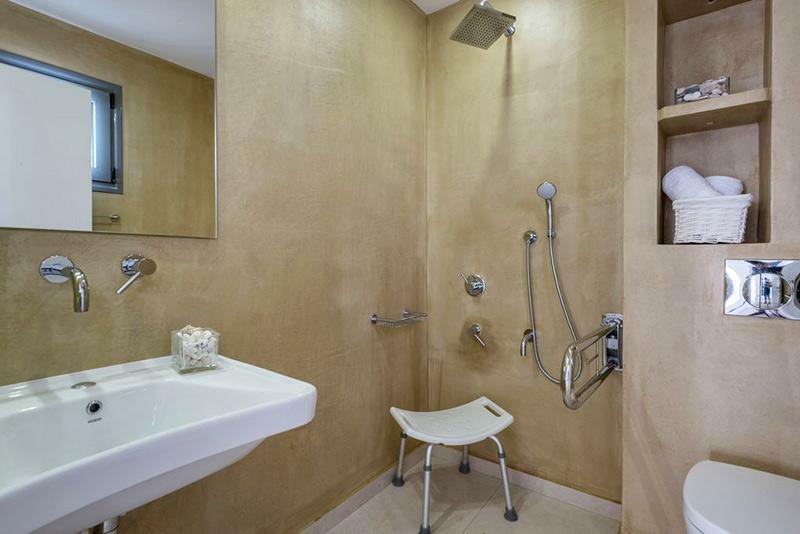 In addition, there is specially adapted WC as well as plenty of space around furniture for easier mobility..